THE CIRCLE MAY 2014: GOALS, GOALS, GOALS. Happy May, my friends! I honestly cannot believe that we're already halfway through this month and that June will be right around the corner before we know it. 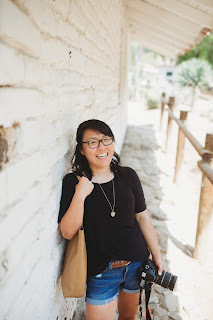 Since we're in a new month, we've got a new Circle link-up that I can't wait to share with you. If you're new around here, the Circle came about almost a year ago with the hopes of connecting bloggers with other bloggers and go from bloggers to friends. So let's make some new friends this month, okay? Hi everyone! I'm Samantha, mid-west girl living in the big city. I love living a crazy creative life, being a wife, and living a life focused on Jesus. I run a lifestyle blog, Elah Tree, and shop dedicated to inspiring creativity, dreaming big dreams, and living a faith filled life. My desire is to inspire women to dream big dreams, take big risks, and trust Jesus through their dreaming. 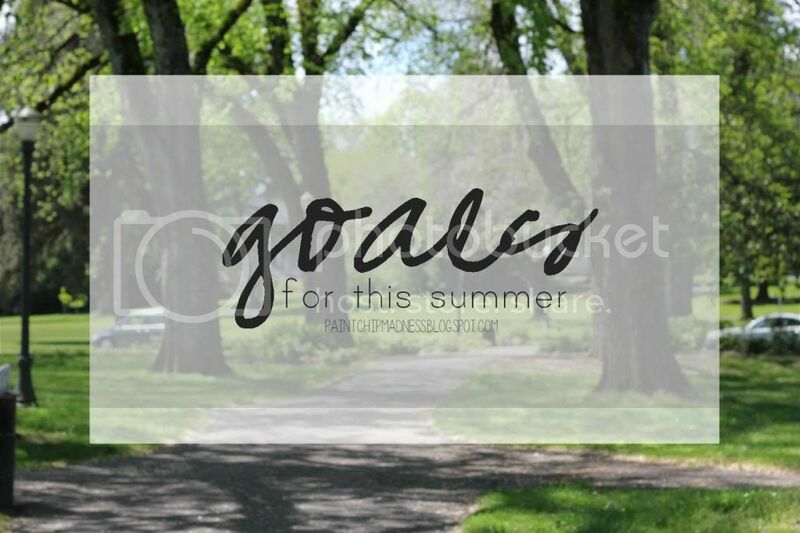 As I mentioned before, Samantha and I are excited to share some goals and hear about your goals, too. Your post could include weekly goals, monthly goals, small goals and/or lofty dreams, or even an update to your yearly goals/resolutions. If there's one thing that I've learned, writing things down (and then publishing them for all to see) keeps you accountable. And as the year draws on, sometimes we all need an extra boost of motivation and inspiration to get things done. So here's to goals, here's to inspiration, and to making new friends. Happy Goal Writing! + Write more fiction. I've unintentionally taken a long break from writing fiction and need to pick it back up. I've got lots of stories to continue (and some I want to start!). + Purchase and work through Blog Life. I've heard a lot of great things about this e-course from bloggers at all stages in their blogging journey and know that it will be something worth investing in. I love learning about blogging and know that I can always learn more so I'm thinking this will be a great way to spend my summer. + Schedule photoshoots with family and friends. I'm already planning one with my sisters but want to continue expanding my portfolio and take photos and try new things. If you're ever in the area, I'd love to take photos of you (and that's not supposed to sound as creepy as it was written...). + Redesign the old blog (and buy a domain, too!). I've had an itch to redesign the old blog and want to try some new things with it, too. I'd also love to take the next step and buy a domain, too. I want to simplify my blog and make it more official and I think a .com will help. Have you bought a domain for your blog yet? Would you recommend it? + Read and catch up on my Project Bookshelf books. I have a few books I still haven't read and need to buy my next set of books. If you have any recommendations, I'm still open to hearing them! It's your turn now! What are your goals? Your to-do list for the week? Or how about dreams or wishes that you hope to come true? Write your post, grab a button, and then link-up with Samantha and me! We can't wait to read your posts! And if you're a tweeter/instagrammer, feel free to use the hashtag #thecirclelinkup so others can find your post, too! Great theme...I was just thinking that it might be to get back into goal mode! Your goals are great! Keep us posted on how your bookshelf grows. And goals are definitely something on my mind right now, too. For me, I think it's because I'm gearing up for summer and will finally have time to get some stuff done! And I will most definitely keep you posted on my bookshelf! I'm hoping to decide on my next quarter's books and make the purchase in the next few weeks! Yay! Fun one! I totally wanted to join in today but alas, some things came up. Mornings in the pediatricians office = no fun. But I see you keep it open for a little bit so I hope I can join in in a couple days!!! Yay, I'm glad you approve! :) And I hope your boys are okay! I don't have kids of my own, but can definitely see how spending a morning at the pediatrician's office might not be a lot of fun. I'm excited to read your post! That would make my heart super happy! I am so glad you're going to be doing lots of photos this summer, that's exciting. I love all of your goals! Buying a domain....I say DO IT. I love having my own space, my own domain...it makes me feel the permanency of my space, and I love that. Also- it gives you confidence and plenty of room to grow! YESSSSS! We should! I'm hoping to do mine in July (or sometime in late June or summertime in general). School here doesn't get out until mid-June and I'm hoping to be able to do it after school ends so I have more time to devote to it. If you're willing to wait a little longer, I'd love to do it alongside you! ooooooooooooo i need to join up in this link up! GIRL i have taken a break from fiction myself, not purposefully just lacking motivation. and BUY the domain...it's only like $10! And let's make it happen! I want to go through it this summer and already told Amy (how are there so many Amy's in the blogging world, btw? I was totally confused at first when you said me + you + Amy at first, haha) and I think it would be a lot of fun to do it alongside other bloggers like Samantha/Megan/Beth are. Let's do it! And I'm lacking serious motivation in the fiction department as well. I'm craving it yet have absolutely no inspiration. Lastly, I'm definitely thinking about it! I made the switch to the new blog name this time last year and I think the next (obvious) step is having the blog URL to match it. Plus, a .com just seems wayyy more legit. Do you use GoDaddy? I think a lot of people do and am trying to poll who uses what site to buy their domain through. OoOoOoo! Can't wait to see your new blog design! I commented way early this morning using my phone (internet down at work) and I guess it didn't go through! Ahhh! I'm so excited that Samantha is your cohost! She is one of the people that popped in my head when you asked for us to guess. ;) Do I get a prize!? I think you're really going to love BlogLife! Make sure you enter Madison's group giveaway next week and maybe you'll win. Also, purchasing a domain is a lot of fun and I definitely think it's a good idea. When I purchased mine, I just went with go daddy, but some people tell you to research hosts a little more and read reviews. You guessed right! You definitely earn some brownie points in my book. :) And have you worked through BlogLife? I've heard a lot of amazing things about it and it sounds amazing (especially as a fan of the ABM team). I'm hoping to get to and through it this summer and I think it's sharing it in posts like these that will keep me accountable! And I've heard a lot of people say they got their domain via GoDaddy and have been trying to think of how I want my domain to be. I'm thinking of initstimeblog(dot)com since initstime(dot)com is taken. Do you think the former is too complicated? Oh i love this one, i had fun doing my post! Blog life--I would SO LOVE to do this with you girl!! I looked at it and thought, i would do that with Kiki! And I agree with you on BlogLife! I think it would be SO much fun to do and am hoping to get to do it this summer. Would you like to do it then? I have a few other bloggers talking about doing it, too, and you should totally do it, too! I really am seriously thinking about buying the domain. It's been almost a year since I've used this blog name and I think it's FINALLY time to make the switch. What site did you guys use when buying TQP domain? Love this month's topic! Can't wait to write my post and join in. You know I love lists and I've been thinking a lot about what I want to accomplish this summer! Can't wait to join in and read these! Ooh! Your plans sound great (especially the bits about buying books and taking photos). Hmm... the Ender quartet is awesome. If you want some fun Christian chick-lit, Erynn Mangum writes fun ones. Or if you want hilarious memoirs, Bill Bryson and David Sedaris are hysterical. Thanks so much for offering an opportunity to co-host! It has been so fun! I love all your goals! I can't wait to see your blog design! Thanks, Lindsie! And welcome to the Circle! :) I'm so glad you linked up with us! Oh gosh, I am really late with this one, but I finally uploaded my spring goal update. I missed the Circle link-ups, btw! I have been so swamped the past few months that I haven't been checking them monthly and I really missed it! And I missed YOU, Kiki! I can hardly wait to carve out some time, grab some tea, and catch up on your blog. It's been tooooo long!! You're not late at all! Honestly, I always believe that with link-ups (or just blogging stuff in general), the more the merrier. :) I've missed you, too, girl! The end of the year always makes things busier for me and I'm just trying to catch up on blog reading (story of my life, haha). I've missed your sweet words of encouragement and hope life is going well! Have a wonderful weekend! Hey Kiki- I'm having trouble finding the list of monthly writing prompts and dates for the link up. I'm probably just missing it somewhere, could you please point me towards the link? I've seen it before and now I can't find it again. :) Thanks!